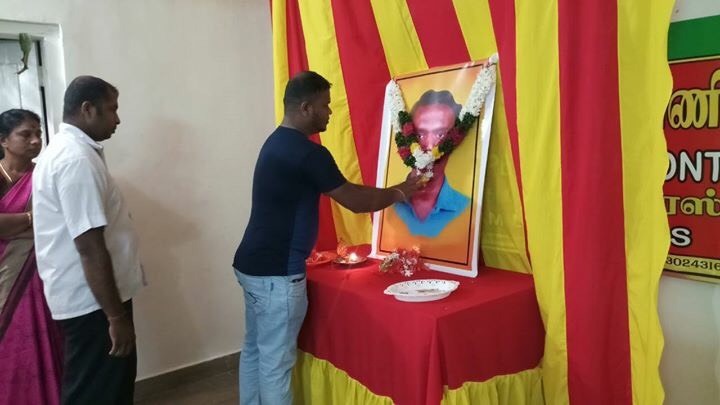 The Tamil Nadu activist who self-immolated in protest at the Indian government's failure to stop the massacre of Eelam Tamils in Sri Lanka was remembered yesterday in Jaffna. 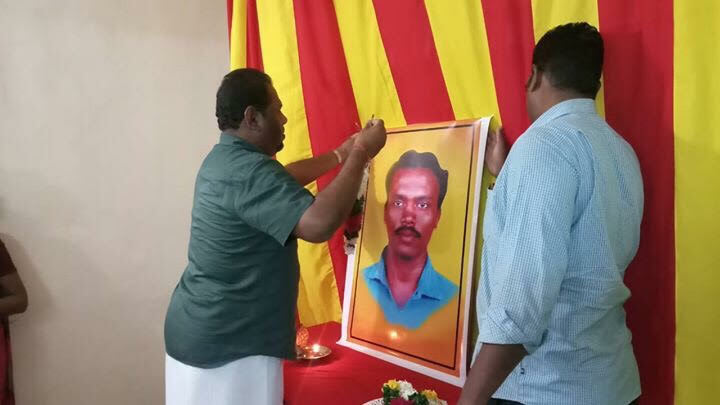 The event, organised by the Tamil National People's Front (TNPF) was attended by party leaders and supporters as well as local activists. Muthukumar, from Thooththukkudi, wrote for Pennea Nee feminist magazine. On January 29, 2009 he doused himself with petrol and set himself afire in front of the Shastri Bhavan, the Indian Central Government's Chennai Head office, condemning the futile visit by Indian Foreign Minister Pranab Mukherjee, who failed to stop the war in Sri Lanka and save Eelam Tamils. "I am sorry at having to meet you at this juncture when you are hurrying to work. But there is no other option. My name is Muthukumar. I am a journalist and an assistant director. Right now, I am working in a Chennai-based newspaper. I am also one like you. I am just another average person who has been reading newspapers and websites of how fellow Tamils are daily being killed, and like you I am unable to eat, unable to sleep, unable to sleep and unable to even think. While his ancient land of Tamils lets anyone coming here, like the Seths, to flourish, our own blood, the Tamils in Eelam are dying. When we lend our voices to say the killings should be stopped, Indian imperialism maintains a stony silence and does not give out any reply." The Liberation Tigers saluted the sacrifice of the 26-year-old. 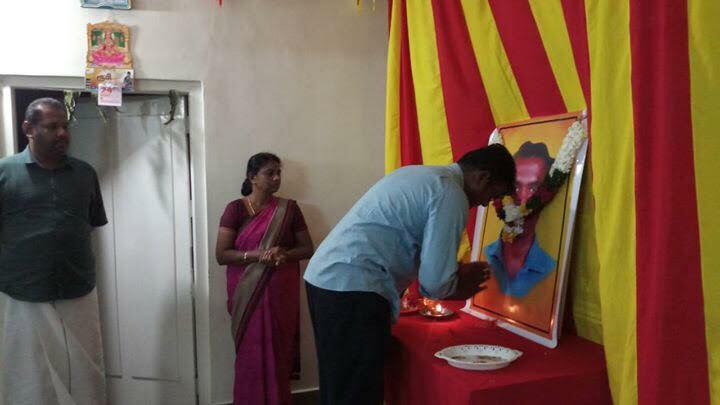 "The LTTE salutes the sacrifice of Muthukumar, who carried the emotional message of the 70 million Tamil Nadu people against the genocidal war by the Sinhala chauvinism in Tamil Eelam," said the condolence message from LTTE Political Head B. Nadesan.